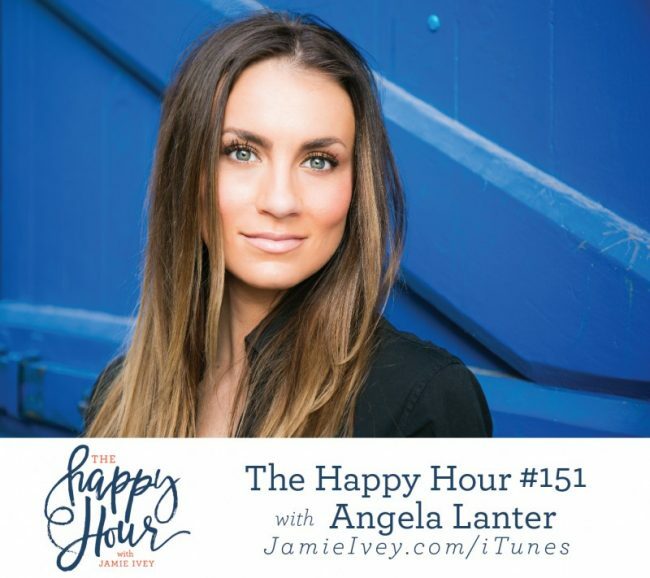 Angela Lanter is my guest for The Happy Hour #151. As one of the hot new trendsetters in the beauty and fashion blogging community, Angela has established a credible reputation and sizable social media following in a short period of time. The founder of Hello Gorgeous blog and Youtube channel, she was named a finalist for the Allure magazine’s Beauty Blogger of the Year Award and was honored with the “Spotlight Award” for Blogger of the Year by PopSugar. She has served as brand ambassadors for brands such as Paul Mitchell, Laneige and Garnier. Angela enjoys DIY crafts, cooking and spending time with her husband, 90210 and NBC’s Timeless actor Matt Lanter, at their home in Los Angeles, CA. In today's conversation, Angela and I chat about her life being married to a Hollywood actor, walking the red carpet, moving all over the country for acting jobs and their recent surprise cancellation-turned-noncancellation of her husband's hit show, Timeless. Angela shares about Hello Gorgeous, how she got started, how she and Matt work together and how she incorporates her faith into the work she does. And finally, we Angela shares a little of her story and struggle with endometriosis - a disease that affects countless women, but one that is rarely talked about. If this is your first introduction to Angela, be prepared to get sucked into hours of her YouTube channel and feel like you have a new best friend and makeup artist.